Birch Gold Group is committed to helping clients protect and preserve their portfolios by diversifying with gold, silver, platinum and palladium. Over time, even during economic hardships, precious metals have remained a secure investment, well suited to safeguard savings. 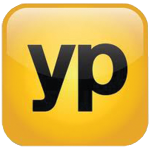 Established on moral and ethical principles, the company maintains an A+ rating with the BBB and has an exceptional record of going above and beyond to service the needs of its customers. Birch Gold Group acknowledges its responsibility to each client on protecting and preserving their wealth. Birch Gold Group is set apart from its competitors because the business is experienced in examining current events and making sense of how they may affect the ongoing value and security of your savings. Using this information, Birch Gold Group helps you understand the factors in the markets that will affect not only the price of precious metals in the future, but also the long-term stability of the money you’ve already worked so hard to save. The Precious Metals Specialists at Birch Gold Group bring a significant amount of experience to the table. This benefits all clients, whether they are a first-time investor just looking to diversify their portfolio, or a seasoned platinum investor. Birch Gold Group is the right choice for customers looking for experienced, helpful, and direct service along with customization and a personal touch. Birch Gold Group’s mission is to educate its clients, not simply sell various precious metals; the company strives to provide clients with the right information so they can make the best investment decision in the future. Although the U.S. dollar has been in decline, there are options to protect against inflation and erosion of your wealth; an investment in gold and silver may prove to be extremely beneficial. 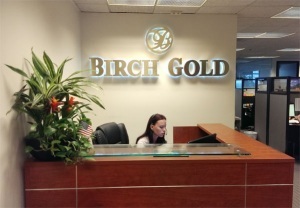 Because of its history of stellar customer service and expertise in precious metal investments, clients can be confident in their decision to invest with Birch Gold Group. We want to hear from you. We would appreciate feedback on your experience at Birch Gold Group so we can make your next visit even better!